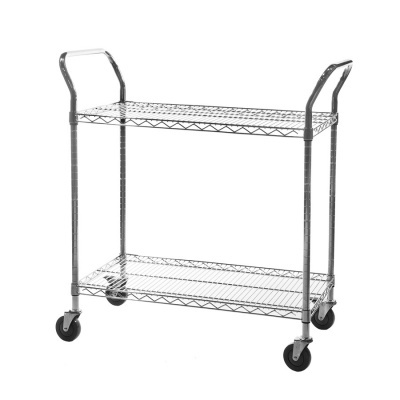 This industrial quality chrome wire shelf trolley features 2 shelves and ergonomic handles at either, allowing easy transportation of a wide range of goods. 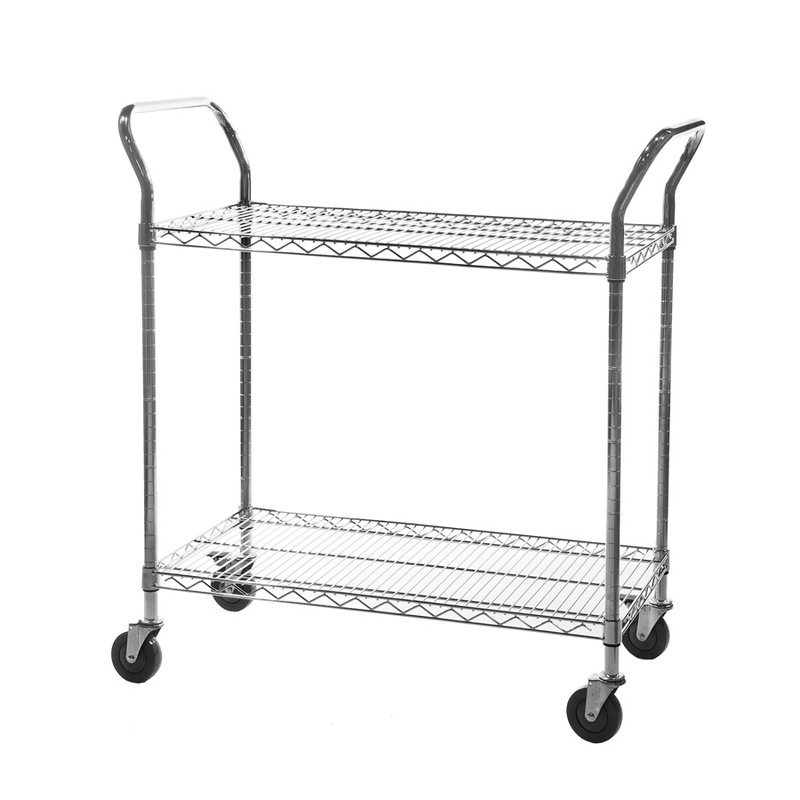 A popular choice in medical and catering environments thanks to its open wire shelves that (unlike a standard boarded shelf trolley) reduces the build-up of dust and debris. The 2 shelves included with this trolley are fully adjustable in height, giving you the option to set each level exactly where you need it. Choose from a range of sizes to suit the items that need transporting and/or the environment you are working in.